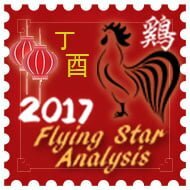 From 8th October 2017 to 6th November 2017 is the ninth month Geng Xu (Yang Metal Dog) of the Ding You year (Yin Fire Rooster year) with the ruling energy of #9 in the central grid. 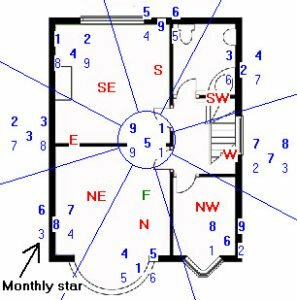 The auspicious #9 star enters the central palace in October combined with the auspicious annual #1 star making a nice combination which can enhance wealth and career in October especially if you live in an open plan style home like those I would normally see in the USA or Asia. A good enhancer here is an image of a mountain in the background and water scene in the foreground; this will support both auspicious stars for health, relationships and wealth although this enhancer should only be used in the centre of your home or office in October it is not worth buying an image unless you have had a full professional consultation or use our Feng Shui Software. Regardless of which way your home faces, you should be aware that in October the risk of burglary is higher and you should take precautions and check security, this is especially so if you have a door in the west or even a window, just make sure you re-evaluate security and maybe add some more. Why is the risk higher? We have Tai Sui for the year along with what is know as a “bull fight sha” enter the west in October which are the flying stars 2 & 3, these elements are earth and metal which are in conflict and this added to the inherent metal energy of the west is doubles the trouble and brings potential robbery, fraud, arguments and legal problems, do not worry about it just be aware of its small potential danger and place a wu lou or any other heavy round metal object with a candle (only if safe to use) or something bright red. The west (worst) and north are inauspicious areas in October and if you have an important room such as an office, bedroom lounge etc located in these areas you need to pay attention. Use metal cures like a Wu Lou and/or a set of six Chinese coins tied in a row with red ribbon especially if you are not in good health or feel stressed. If your bedroom, office or main door is located in the north of your home please make sure you do NOT introduce any candles here or colours red, pink, purple, orange or any other fire colours. If you have an important room here use some blue, grey or black objects like bed covering, floor covering or cushion covers. With the west you need a combination of metal and fire and a good cure is a wu lou with a tee light or candle lit beside it, please be very careful with candles though. If you have an office, bedroom, lounge or any important well used room in the west please be aware that it can cause severe arguments, bickering and/or legal problems in a home or business. Place a red object in the west of your home or business or carefully burn a candle each day or place a bright light, please be careful if using candles. Be careful not to place a fan on warmer days and nights in the west or south of a room or northwest, it will cause you many problems. If your bedroom, lounge, office or any other important room is located in the west please be very careful signing important papers as there could be treachery in October, ensure you read all the small print. You can also suffer from someone trying to back stab you or steal from you. Please avoid and do not disturb the west or north inside or out in October. Good sectors for the month of October are the southeast (best), south and northwest and if your door, office, bedroom or any other important room is located in these areas your month will be good. 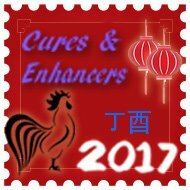 Take a look at the annual cures and enhancers on how you can enhance your month and year even further, even though we are near the end of year they still have an amazing effect especially as the year does not finish till February 2017. To activate relationships in October, you can place something dark blue or black in colour in the south of your home, this will also weaken the #5 star which is there for the year. A quick and easy way of introducing the colour is placing a sofa throw, bed cover, rug, table cloth; it is actually very easy if you think about it. 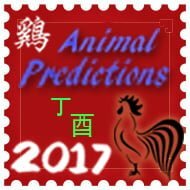 If you use symbolic items in relationships you can place a pair of Mandarin ducks or double hearts in the south or southeast. With regards to wealth you should spend more time in the southeast and northwest of your home or office and enhance the southeast by placing a faceted crystal sphere and/or a real piece of quartz crystal. 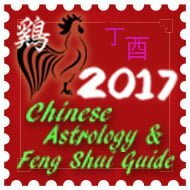 To further enhance your month check out the October monthly almanac as it not only gives you good and bad days to do certain tasks it also tells you if it is good for your animal sign.